COMING SOON!!! 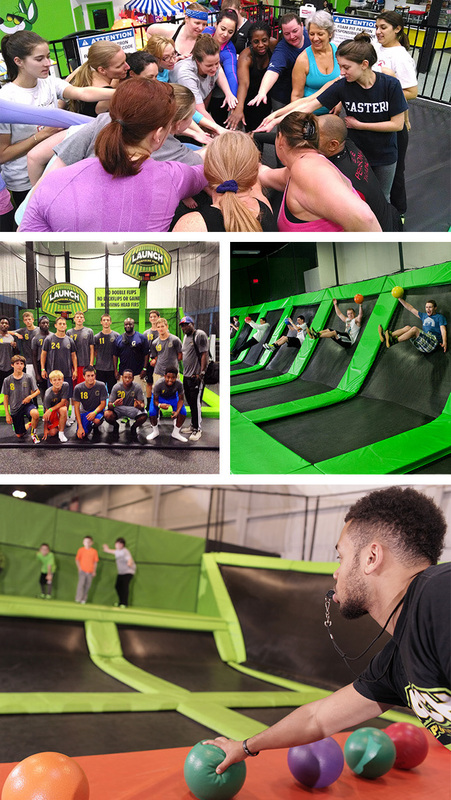 Launch Trampoline Park presents Teen Night! Join us for endless jumping, dodging and dunking! Open to ages 13-19. COMING SOON!!! Meet your child’s physical education needs as they bounce of the walls and socialize with other children their age. Network with other homeschooling families and groups while having a blast and getting some exercise! Everyone has fun, gets a fantastic workout, and builds great bonds. COMING SOON!!! Open for children ages 5 and under. Our energetic staff will lead the kids in fun trampoline games, let them play a few rounds of trampoline dodgeball, and even have some free time for open jump fun! Burns up to 1,000 calories an hour! COMING SOON!!! A quieter, private time where we are open exclusively to jumpers with special needs along with their families. COMING SOON!!! Open exclusively to jumpers 18 years of age and older, this is the perfect time for adults to let out their inner child! COMING SOON!!! Launch is proud to announce our new fitness program! Launch into a fitter, healthier and happier you with Launch Trampoline Fitness! Great for all abilities and fitness levels! Burn up to 1,000 calories an hour!